1949 Original Lobby card from the film ' The Doctor and the Girl ' starring Glenn Ford, Janet Leigh and Charles Coburn. 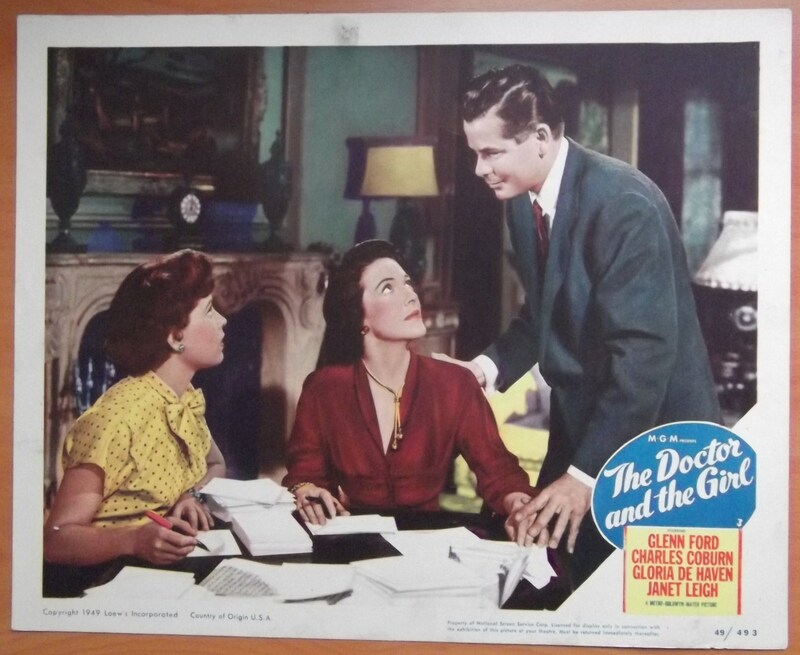 The Lobby Card is in Fine- condition and measures 11" x 14". It has dirty borders. This is card #3. Nice image on this rare card.